You ever have one of those days where you look at your garden and go “well … shoot”? 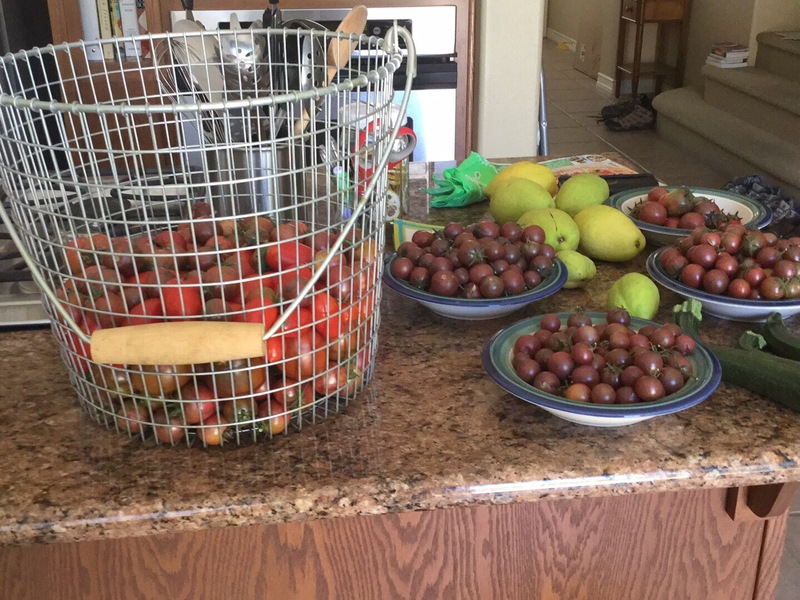 I hit “overrun with tomatoes” more than once this summer. I made over a gallon of dried tomatoes. Three quarts of roasted tomatoes. Two batches of conserva. Two gallons of tomato sauce that went into the freezer. Seven half-pints of “Bruschetta In A Jar”, which is Ball Canning’s fancy way of saying “pickled tomatoes to stick on toast when you’re out of fresh tomatoes”. Normally my extras go to my parents, but they were unavailable and I was getting desperate. Turns out, lucky for me, that there are a bunch of active barter groups in my area. My pitiful plea for help did not go unanswered. In fact, it was happily answered with fresh bread, mason jars, and lemon verbena for my tomatoes, with possible eggs and butternut squash in the future. It did feel like a drug deal. There I was, sitting in the Del Taco parking lot, my trunk loaded up with clandestine tomatoes, waiting for a stranger to come by and take them off my hands. Turned out the stranger was fantastic, and so was the bread. So was the next stranger, and the mason jars and lemon verbena. Am I looking forward to being overrun with tomatoes again next week? I just might be.